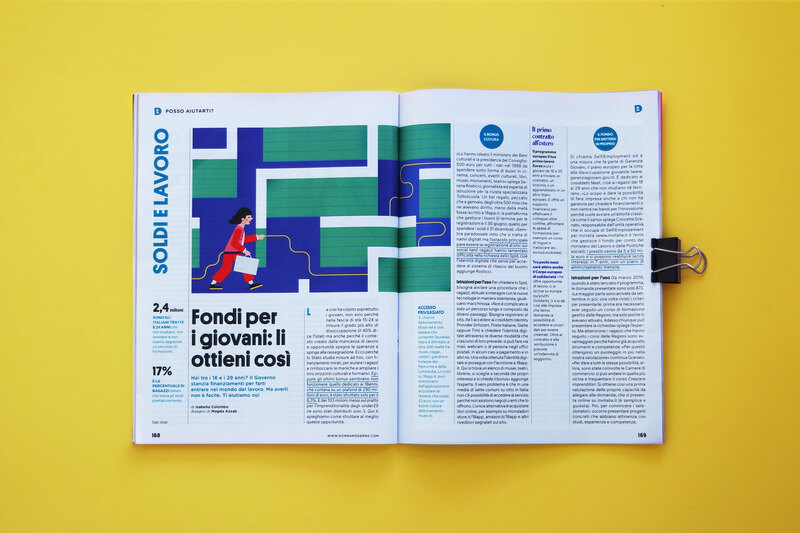 Editorial illustration for Donna Moderna Magazine. A guide to benefit from the government measures to support the entry of young people into the job market. I love working with others who are passionate about what they do.